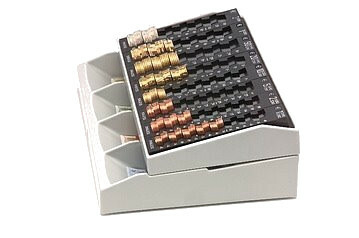 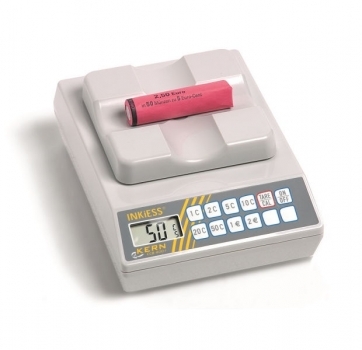 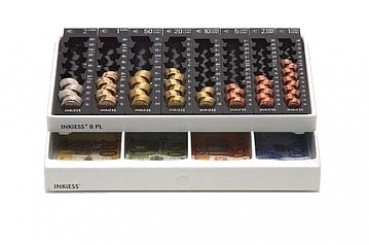 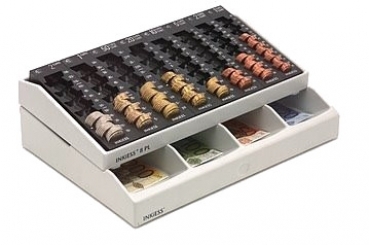 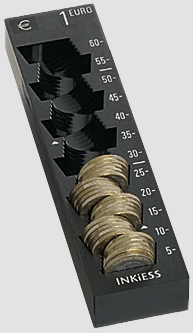 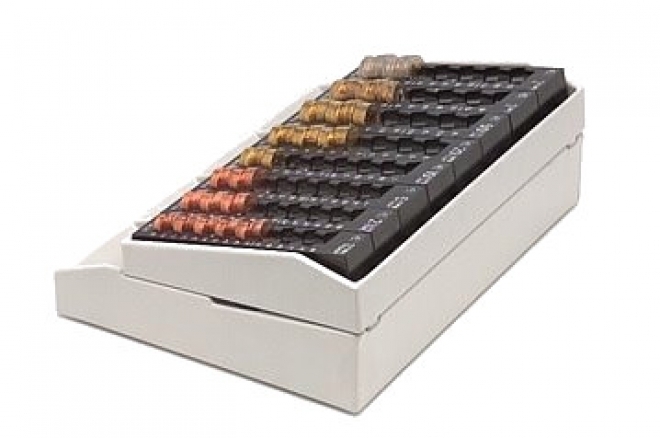 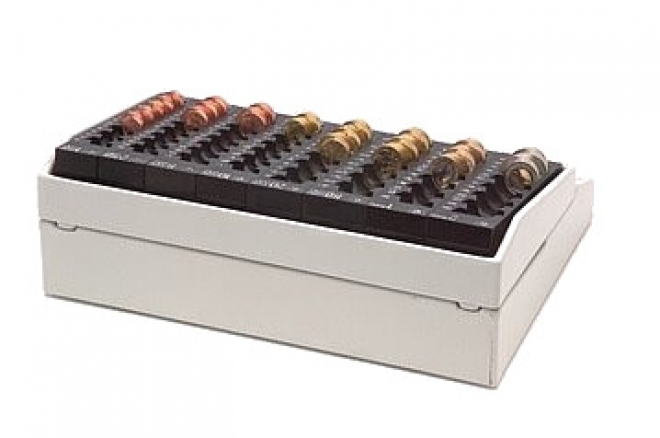 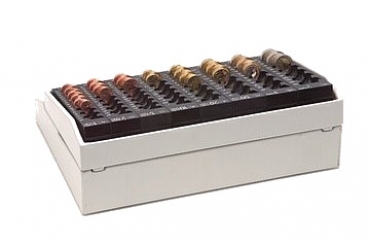 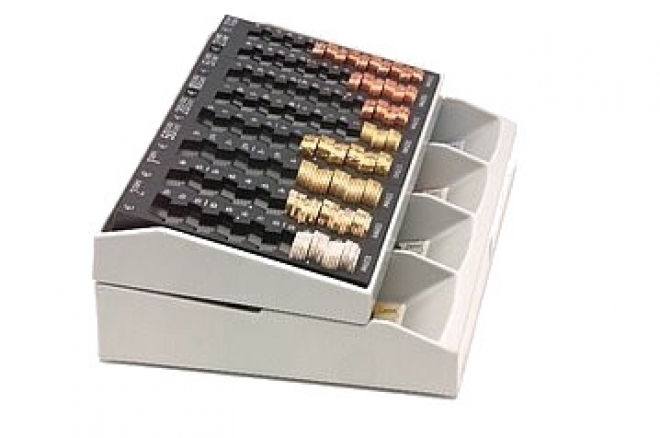 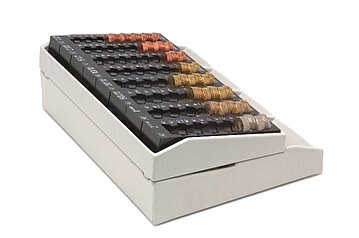 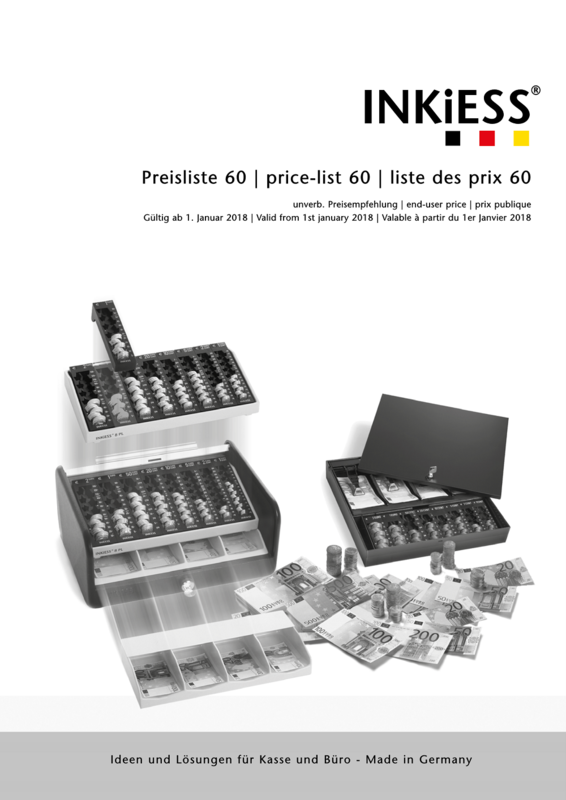 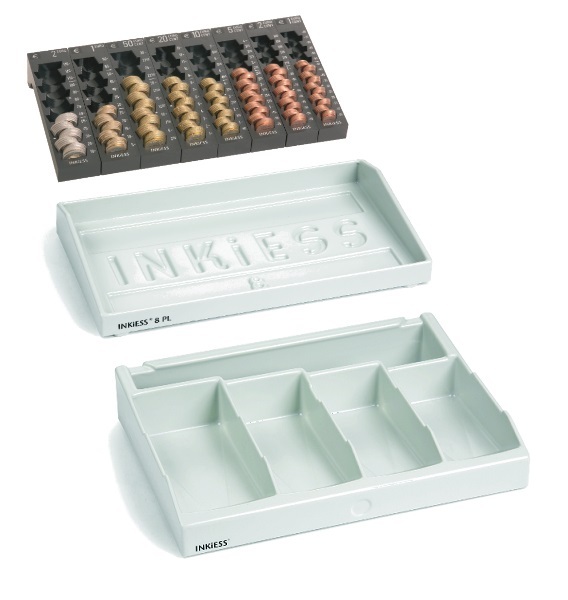 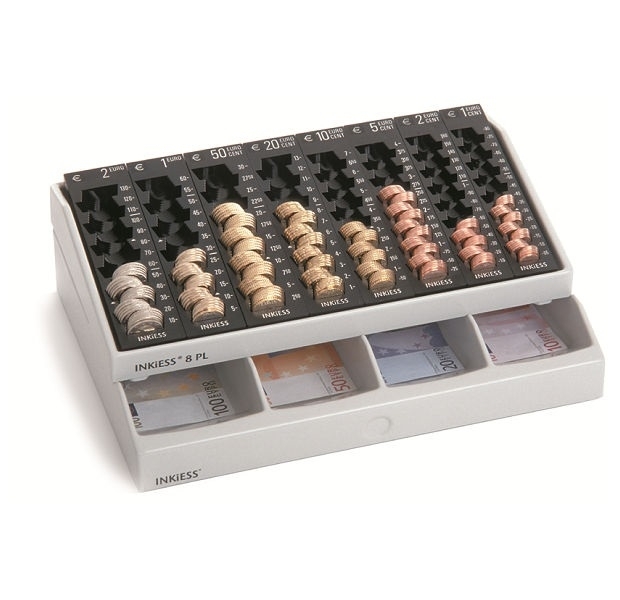 Cash tray combinations REKORD 841 PL consisting of cash tray 8 PL on a base with 4 flat not compartments and roll storage area. 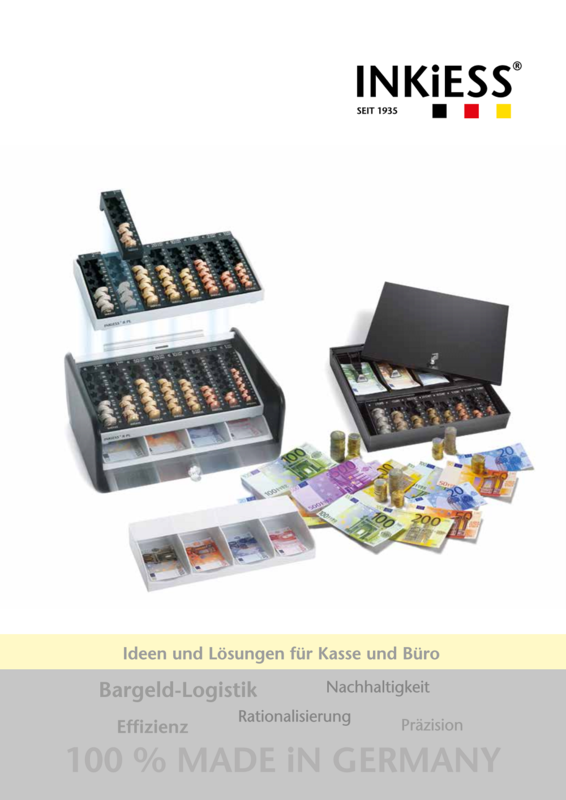 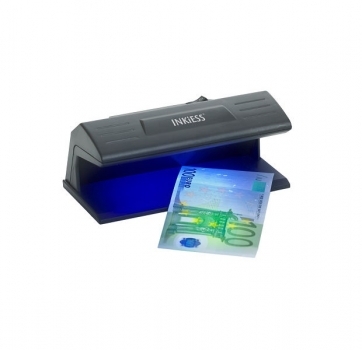 Values 2 EURO to 1 EURO-Cent. 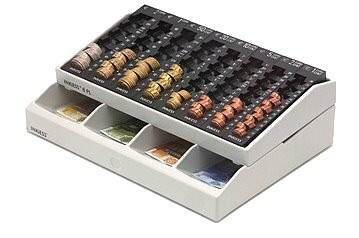 Coins are protected against falling over by a groove for the first coin as well as by the steps at the side of the coin sections (patented). 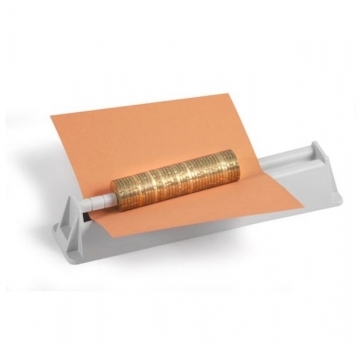 The rolling marks are showing at what amount coins can be wrapped into rolls (a little line from the bottom, a triangle from the top).